Ever since I was young, I’ve taken packing as a personal challenge: to find the smallest possible bag for my trip. Going on family vacations, I’d be the one with a backpack while other family members carried 2-3 bags (not that there is anything wrong with that — just different styles of traveling). As I travel more frequently on budget airlines (first Ryanair, then EasyJet, Spirit, and most recently Wow), the more creative I have to get with packing. My most recent challenge was a weight limit of 11 lbs for my trip to Iceland. Eleven pounds is not very much weight. Especially for a trip that requires winter gear. 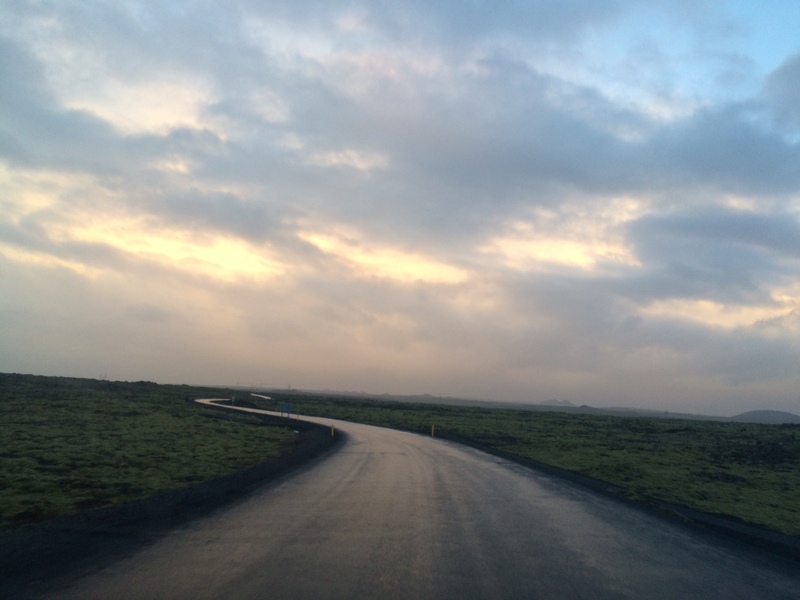 But I was able to get to and from Iceland without having to pay for extra weight 🙌 (I may or may not have worn 5 layers of clothing until I got past security…). Mission accomplished. 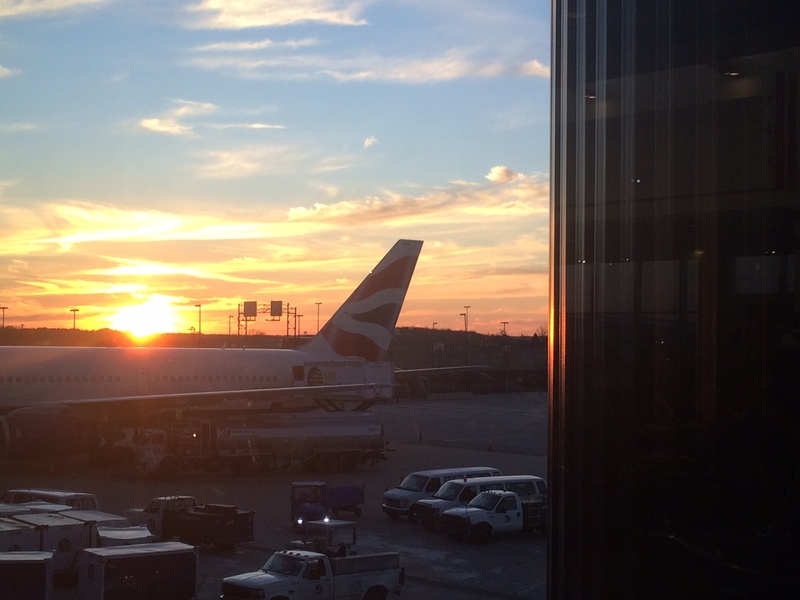 Before I tell you how I did it, I wanted to share a few reasons why I value traveling light. It makes travel easier. Not having to worry about a checked bag or the possibility of my luggage getting lost or stolen takes a big stress out of travel for me. Plus, it’s easier to navigate airports, buses, trains, etc. when you only have a backpack (plus maybe a purse). It helps take away distractions. I’ve essentially done all of the deciding on what I’m going to wear before I even get to the airport. With limited outfit choices, I can focus on getting out the door faster and experiencing the new city. And less decision fatigue. If you don’t have much space for souvenirs, you have to focus on the few things that you really want (instead of just accumulating stuff). On those nightmare-esque occasions when you are running through the airport to make your flight, you aren’t weighted down by tons of baggage. You’re forced to consider every item you are bringing to make sure it has value. Almost everything I took to Iceland could have had more than one use. As I mentioned earlier, packing lightly is a personal challenge to me. So yes, I do just do it for fun ☺️. I made a list of everything I could possibly need. I didn’t want any surprises popping up after I had already packed my bag. 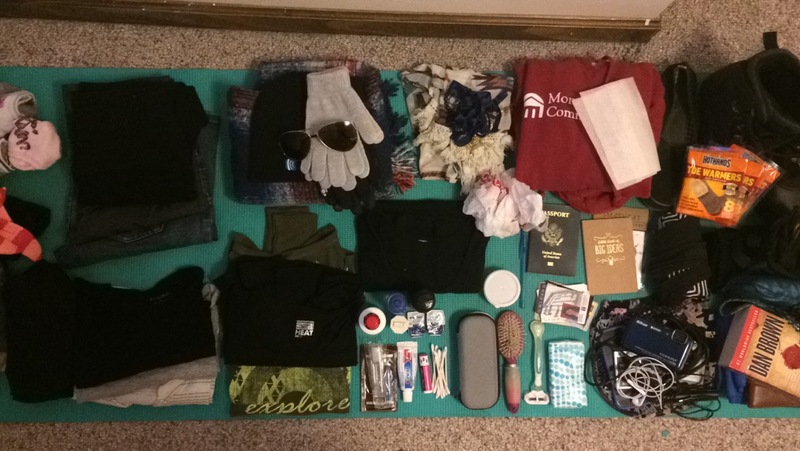 I laid everything on my packing list out (including what to wear to the airport). I went through my clothes 2-3 times to pare them down. Everything needed to coordinate so I could easily mix and match (I ended up with less than half of what I originally laid out). I picked a few items I could leave behind if necessary. I took an old hoodie and handmedown jeans that didn’t have to come back (although they both did). I separated out what I planned on wearing to the airport (2 pairs of pants, 3 shirts, you get the picture 😋). I used my bulky winter coat to my advantage and stuffed the pockets full. I made a mental list of everything I could ditch at the airport (or additional things I could wear) if my bag ended up being overweight. 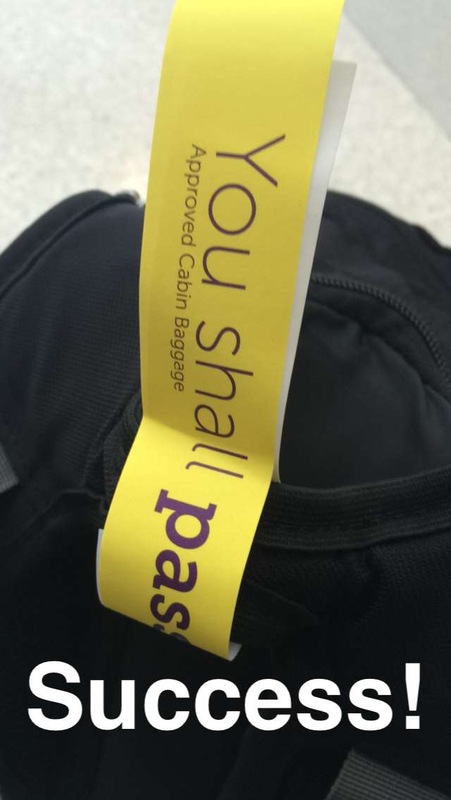 I weighed my bag multiple times at home. What tips do you have for packing light? I’d love to hear your ideas!